chance for creative expression, will reveal their lives through the challenges they face – physically, in their relationships, even in how they are often perceived. Also, they’ll provide us with insight into the joys they experience in spite of – and sometimes on account of – their disabilities. The friends they make. The homes they create. The ways they experience nature, animals and leisure time. Join us for this unique bit of insight into how others live through the medium of the camera’s lens. All profits will go directly to the Board and to the artists themselves. 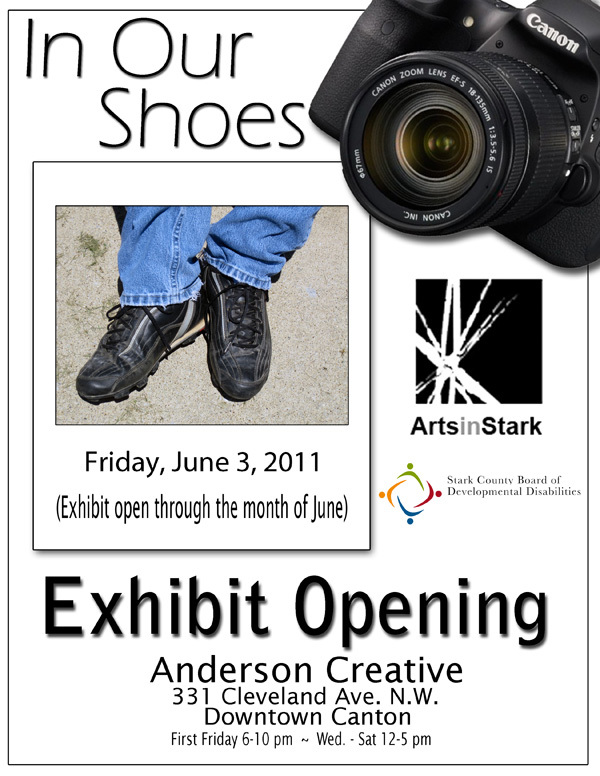 The exhibit opens on First Friday, June 3rd from 6-10 PM and will hang through Saturday June 25th. Anderson Creative is located at 331 Cleveland Ave NW, Canton, OH 44709. The gallery is open Wednesdays-Saturdays, from noon to 5. This entry was posted in Art News, canton, galleries, photography, shows and tagged art news, canton, exhibit, exhibition, gallery, ohio, show. Bookmark the permalink.